If you follow me on my Instagram, sure you will notice that I'm a coffee lover. I even created my own hashtag #hippocaffeine to collect the coffee I have taken and the coffee places I have been to. Everyday, I have to take at least one cup of coffee before I kick start my day. Sometimes, I may need two, but depends how busy I'm on that day. And, my favourite is always Cappuccino. 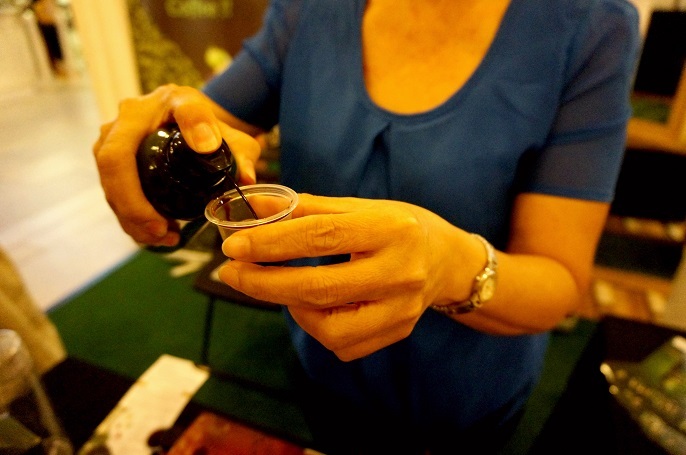 I came across I Love Coffee & Tea Expo through a friend of mine. Glad that I visited the expo, because it left me a great impression especially to the brand new coffee brands in the market! 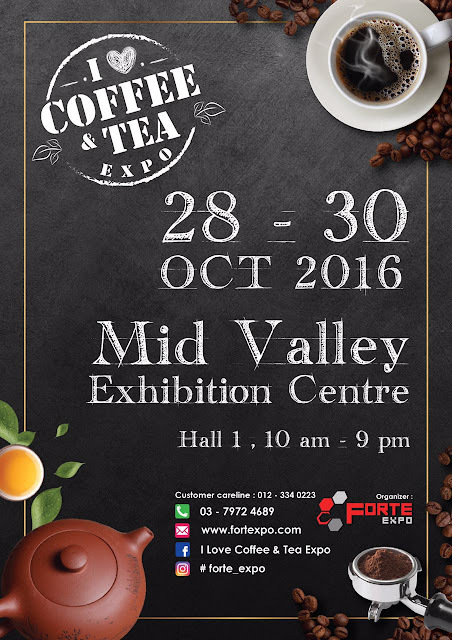 I Love Coffee & Tea Expo is organized by Forte Expo. Forte Expo provides services and solutions to clients who do not have proper space to set up their own businesses. 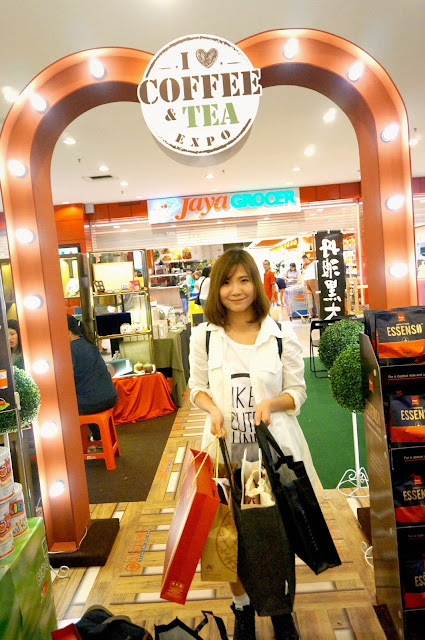 The expo held at Empire Shopping Gallery. It starts from 18th - 24th July, from 10am till 10pm. It's not a big expo, only with total 7 vendors, but it's definitely nice to walk around and reach out toward the new coffee and tea in the current market. Do not believe me? Let's check out each vendors in this post now! 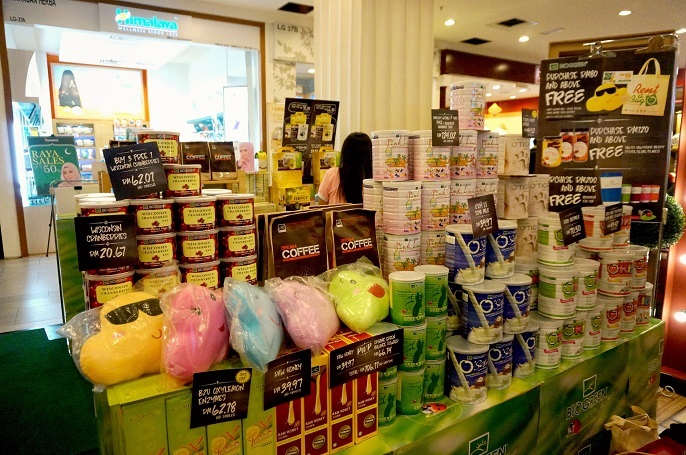 Nanyang Essence is the first stall that you will see after you get off from the escalator. 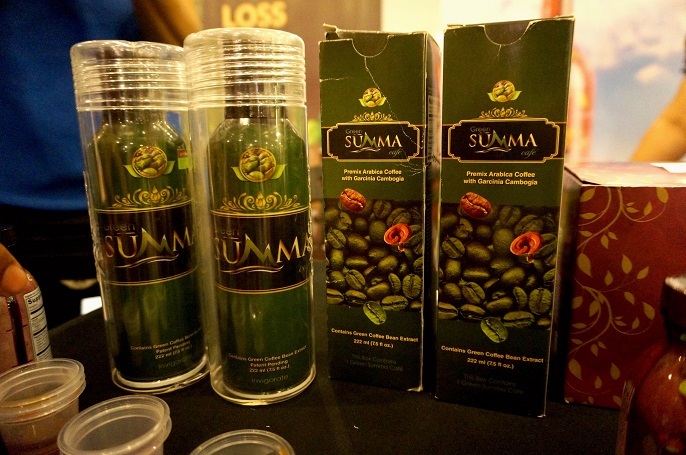 The company has been in the market since 2000, yet just recently they have launched a brand new formula for their coffee ranges. What makes Nanyang Essence so special compare to the others? 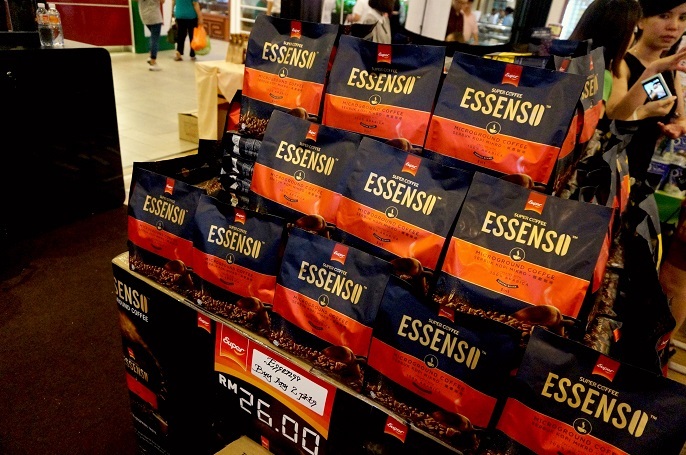 It's because the coffee has replace the sugar formula with brown molasses sugar which contains a variety of minerals like magnesium, manganese, copper, iron and potassium. 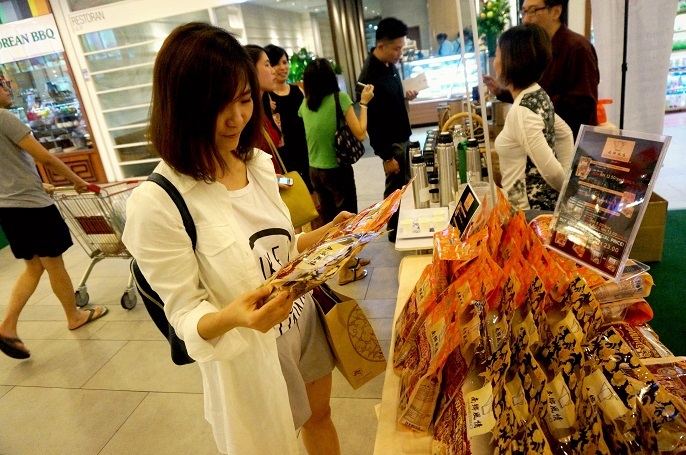 They have 2 types of flavour which includes #1 Nanyang Essence Super Rich White Coffee, and #2 Nanyang Essence Brown Sugar Milk Tea. 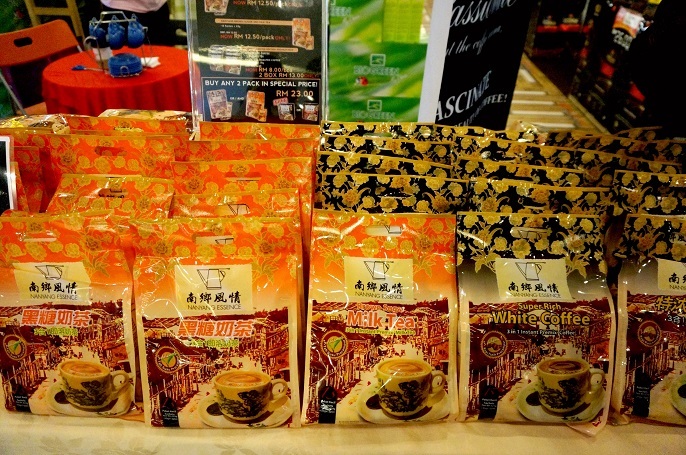 Another highlight from Nanyang Essence is the Durian White Coffee. 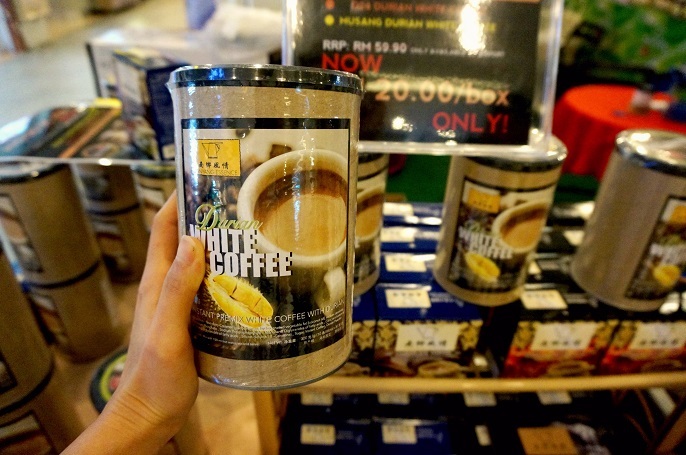 This Durian coffee is a gourmet coffee fuse with durian taste. It gives a little twist to the regular coffee drinks, so the more you drink, the more you can taste the Durian. 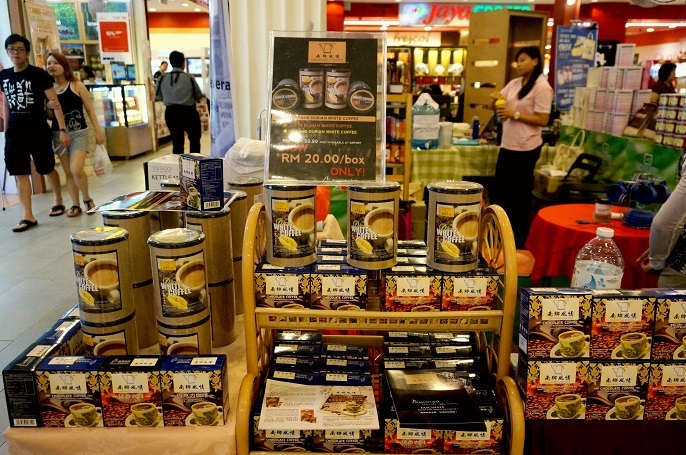 It offers three varieties which includes #1 Kampung Durian, #2 D24 Durian King and #3 Musang King. I personally like Musang King flavour more because it has richer in taste, however D24 Durian King just got a bit more sweeter. Visited the second booth at Biogreen. I have been knowing Biogreen for sometimes, but honestly I'm still not 100% sure on their brand as well as their products. If you insist me to give an answer, well probably I would say they are a kind of brand that offers natural and organic products? 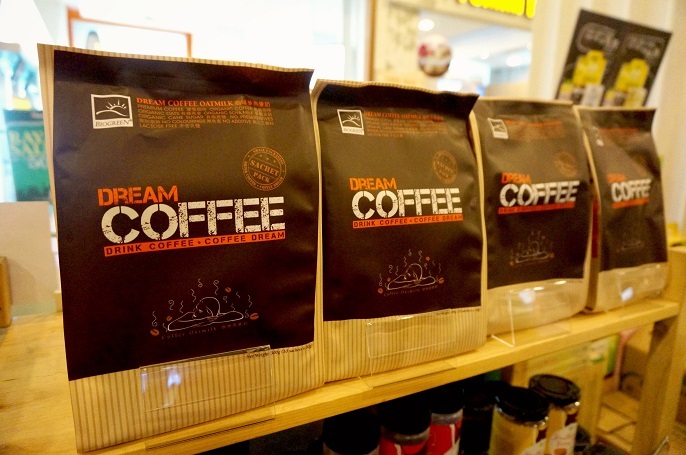 Dream Coffee Oatmilk has unique recipe combine roasted premium and organic coffee beans with other organic and natural ingredients. Oh great! I got the answer correct! Organic and natural! #see! This coffee has low calorie, high in fibre, promotes blood circulation, good for colon health, helps in weight management, improve skin complexion and minimize fatigue. It's one healthy coffee that you can drink everyday to kick start your perfect day because it is made of organic oats and soya milk, that's why the texture is a bit rough than the normal coffee. 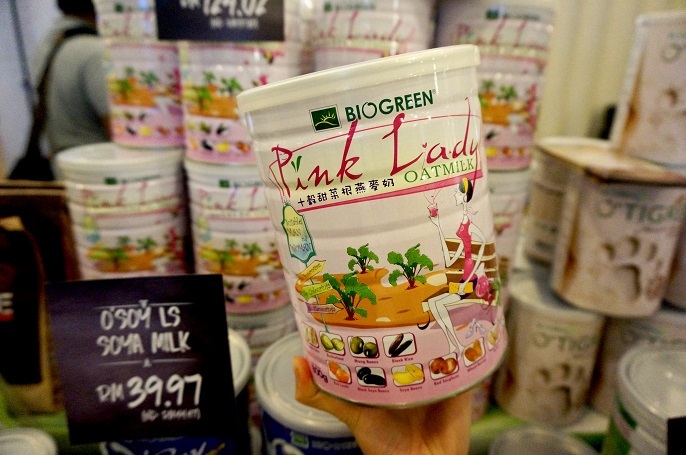 Another interesting product that catch my attention is the Pink Lady Oatmilk. It's a healthy drink loaded with organic oats, 10 types of natural unrefined grains, beans, nuts and beetroot. This product helps to increase blood count, reduce menstrual pain, menopause symptoms, promotes healthy blood circulation, constipation, malnutrition, anemia, and rosy skin complexion. It's a good product that should recommend to all the ladies out there! 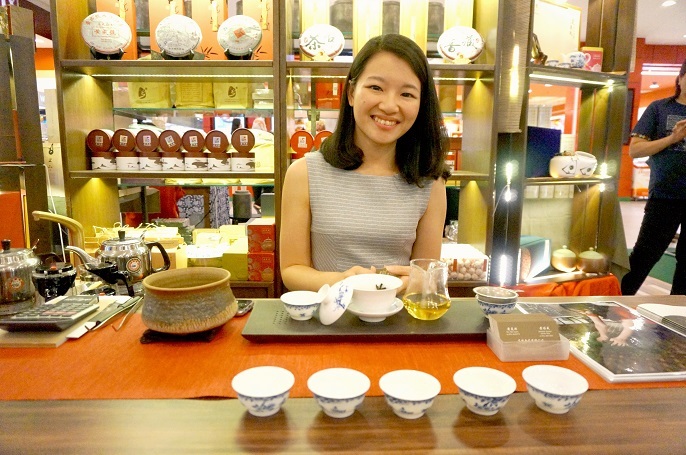 Huang Chen Hao Tea Art is one of the interesting modern tea owner that I have ever heard! Why? 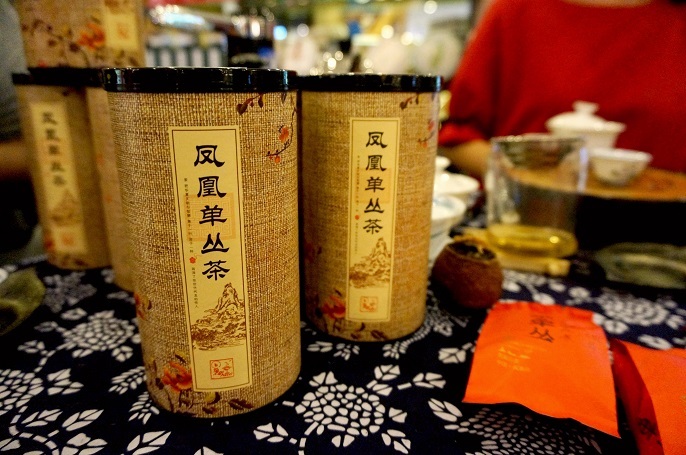 #1 They are an authentic handcrafted teas with no chemicals. 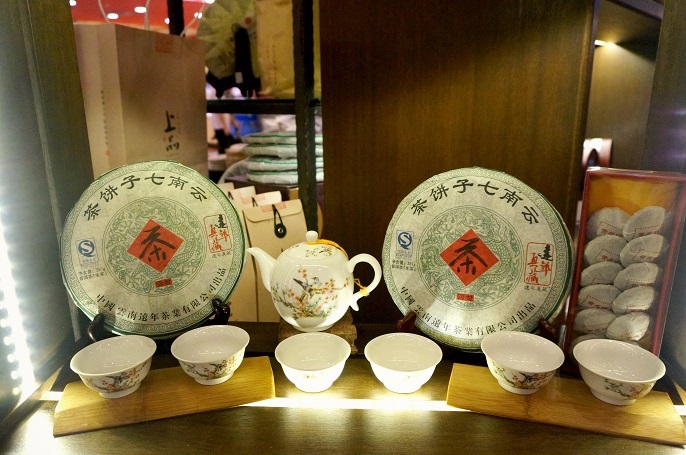 #2 They work personally with the farmers in China and produce tea at the source itself without any middleman. 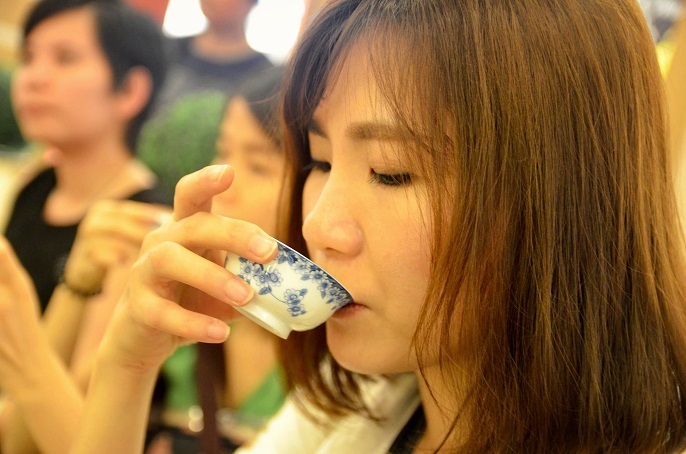 #3 They demystifying Chinese tea culture by sharing only facts and practical experience. #4 They only source healthy tea trees and not commercialized tea bushes. #5 Their quality control is maintained and all sources have supporting evidence. This young lady is the daughter of the owner. The family business has been in the industry for 30 years, and she has taken the family business since 1 year ago. Do not judge her through her pretty appearance, she is the one who fly over to China for doing harvesting, withering stage, rolling tea leaves, leaves drying, and selecting out dead leaves and stems! I like it's tea taste because it's smooth and sweet to the throat. 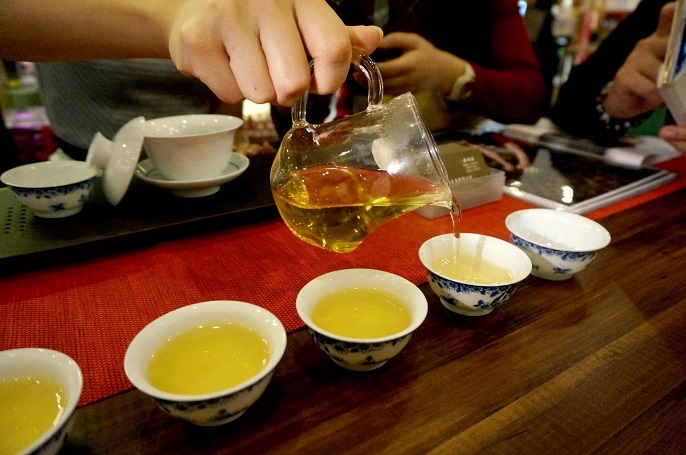 Believe it not, drinking the right tea can actually help your weight management! 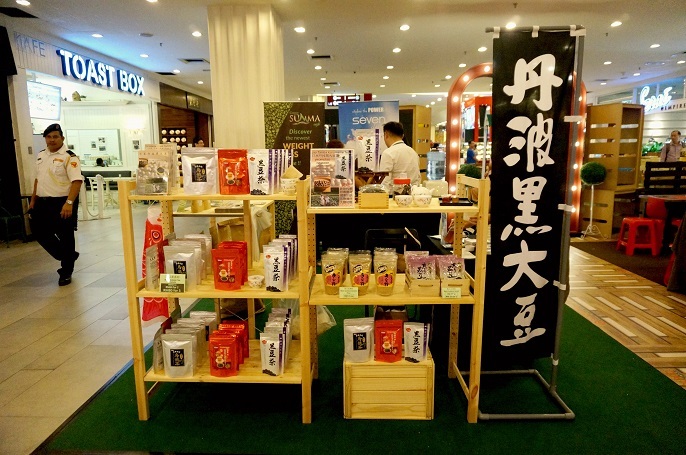 Another highlight of Huang Chen Hao Tea Art is they allow you to customize your favourite design and put your own messages, logos and taglines on their existing packaging. 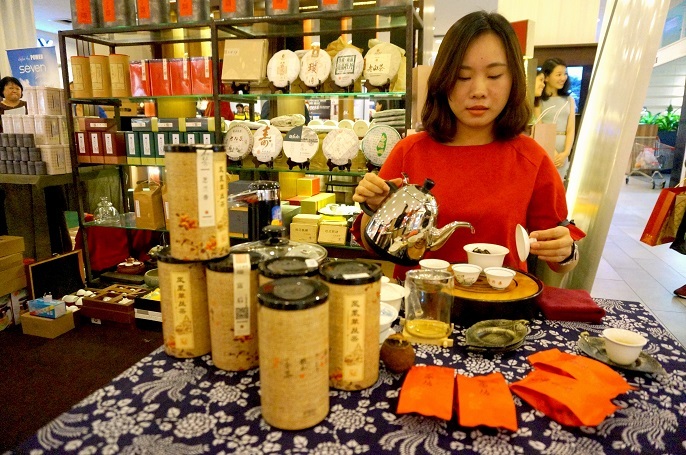 It's such a good idea that you can give personalized tea gifts to your families, relatives and even your business clients and partners. 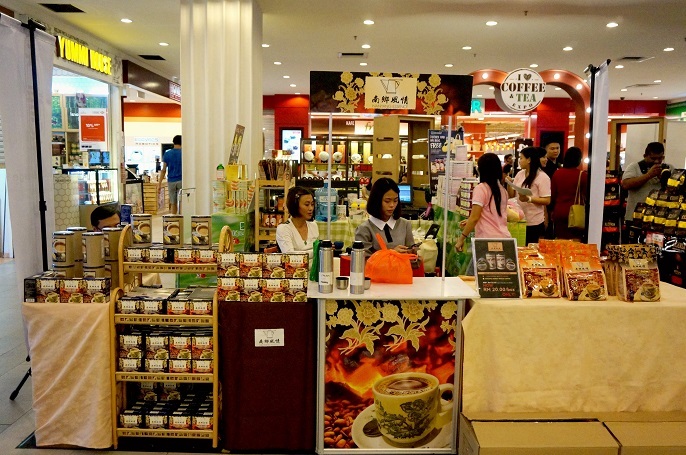 Another tea booth that available at the expo is Hexin Tea. Hexin Tea consider a more traditional tea compare to Huang Chen Hao Tea Art. 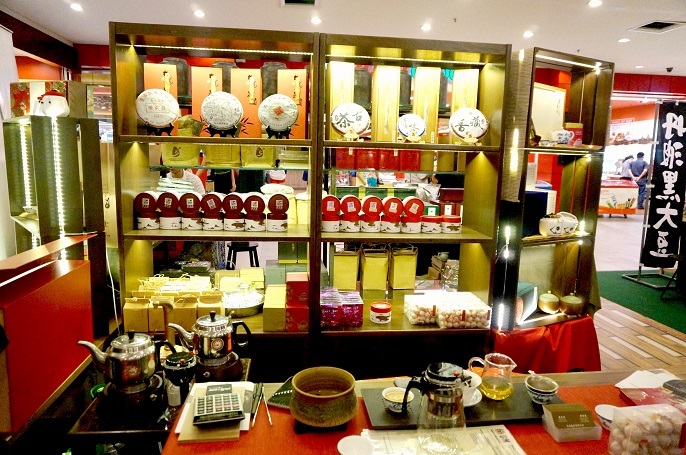 They mainly provide Oolong (Wu Long) Tea from Teochew in China. 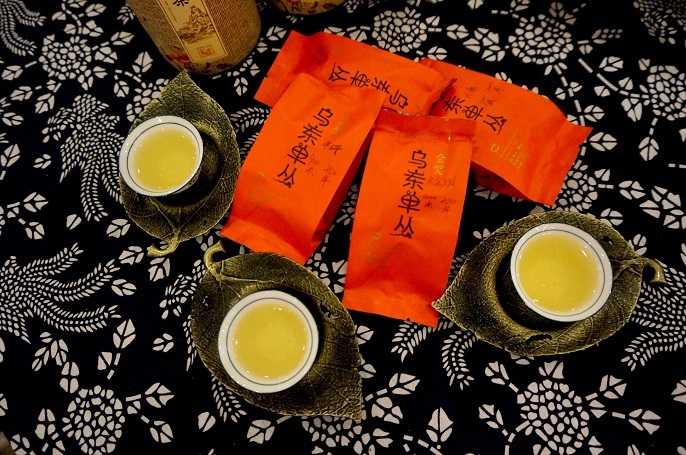 There are so many Oolong teas in the market, but what makes the Oolong teas so special? The main reason is they only harvested the trees which are more than 100 years old. 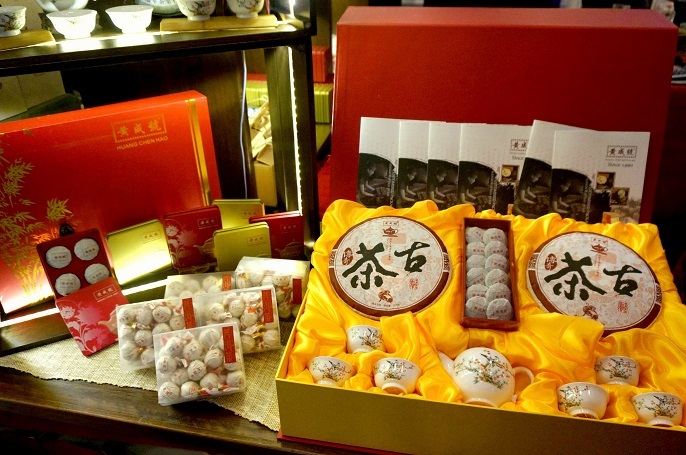 This is to ensure that they will able to produce the best Oolong Tea to their customers! Teas from Hexin are 100% natural, no artificial and chemical additive. So? 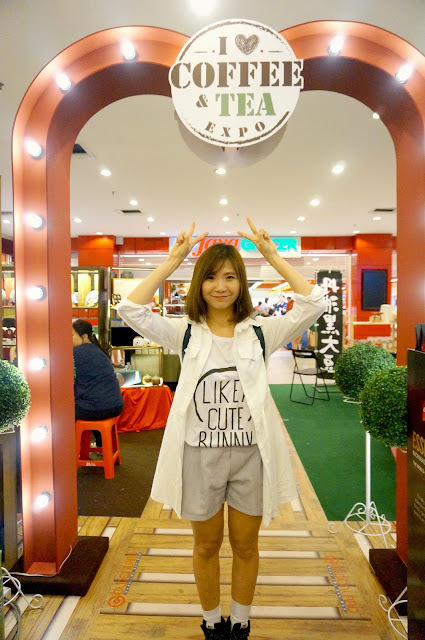 Rest assured that you can enjoy your tea everyday with Hexin Tea! 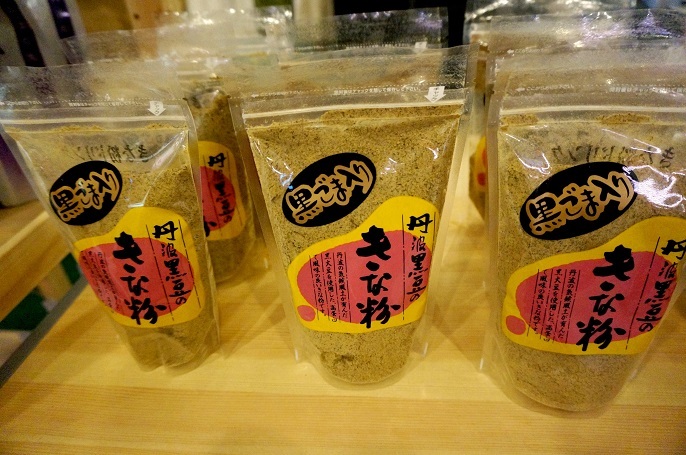 Kuromame (Black Soybean), from Tamba Japan is the main highlight product from NL Nest. There are several varieties of Kuromame in Japan but Kuromame from Tamba are one of the largest and considered the best. If you never heard of Kuromame before, it is a kind of soybean that grown at least 6 months and harvested only once a year. That's why this is a blessing and previous drinks in Japan that they usually serve to the VIP on their big days in Japan. The original Kuromame looks like the black bean in this picture. 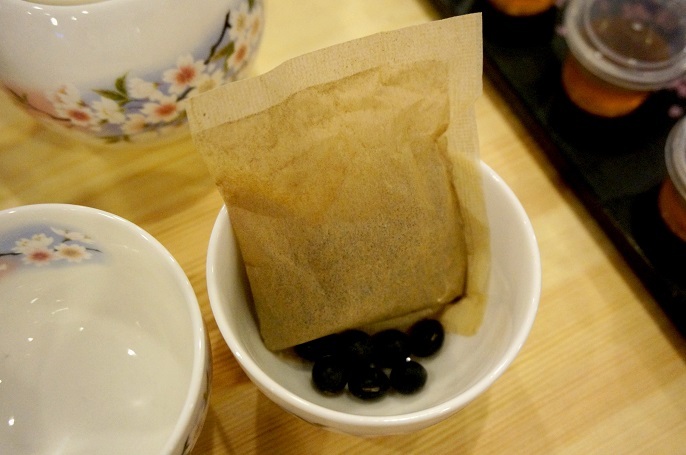 They smashed the bean and make it to a tea bag like this. 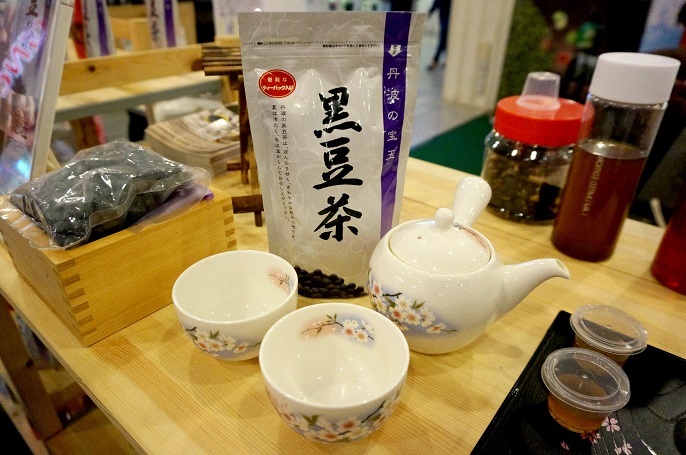 Original Black Soybean Tea contains 10 bags and it can drink in either hot and cold brewing methods. Kuromame not only serve as drinks but also can take it as snacks. 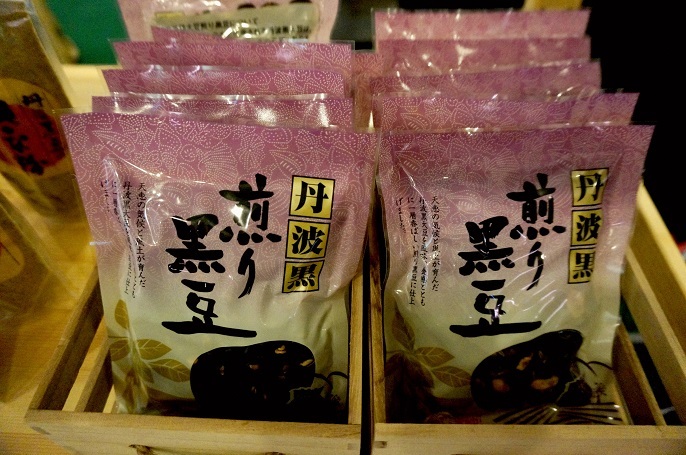 This Roasted Black Soybean Healthy Snack with no flavourings added is suitable for diabetic patients, and it is a great snack between meals for weight management. Kuromame also can be added to milk, and soy milk to provide extra nutritional values too! It's like the sesame seeds which can be a great choice for your health conscious. 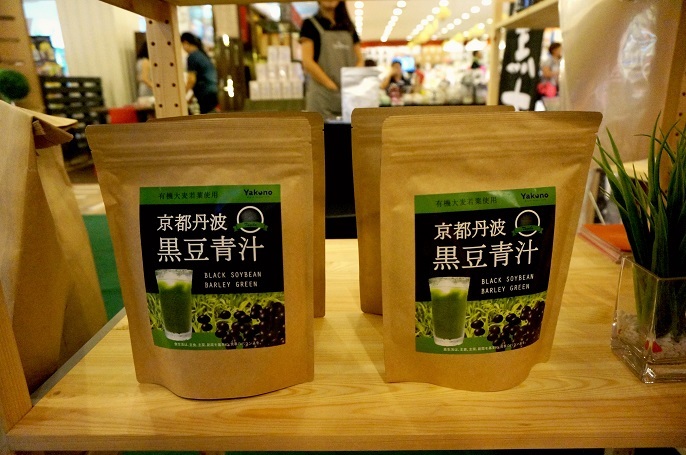 If you are looking for some detox diet drink, you should seek help from the Black Soybean + Organic Barley Grass Juice Powder. It has a great help for losing weight, beautifying skin, anti-aging and detoxing diet! 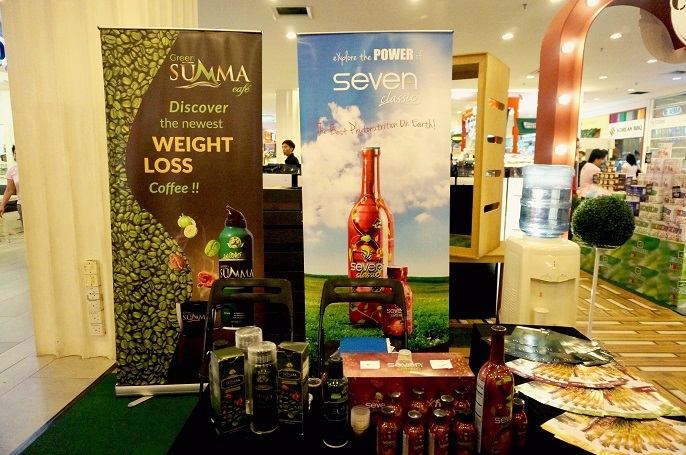 Exfuse offers you their highlight products which are Seven Classic and Green Summa Cafe. Both their products are imported from Florida USA, and each of them provide you the simplest way to consume at anywhere and anytime to maintain your health life! 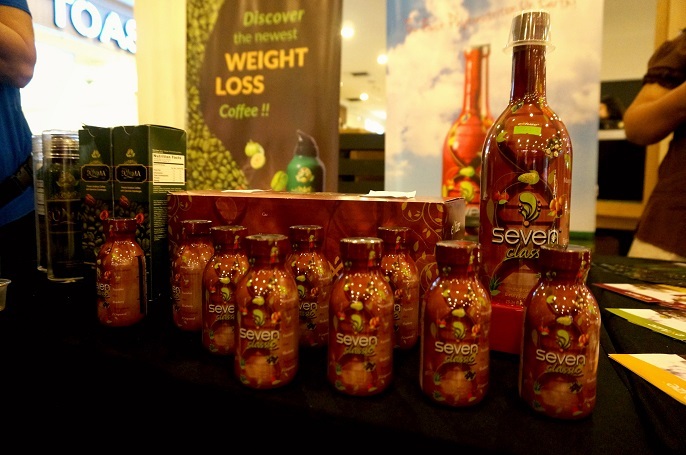 Seven Classic is a multi botanical premium phyto nutritional products for optimum health and longevity. It produced with 7 different kind of fruits and they only abstracted the best part of the fruits to produce the Seven Classic. Green Summa Cafe catches my eye on how they prepared a coffee by just spraying 1-2 times in either hot and cold water. Well, with this spraying method, I guess you have no excuses to skip your coffee time at anytime at anywhere! When I wanted to buy the instant coffee from the supermarket, Super Food must be my first favourite brand to look at. 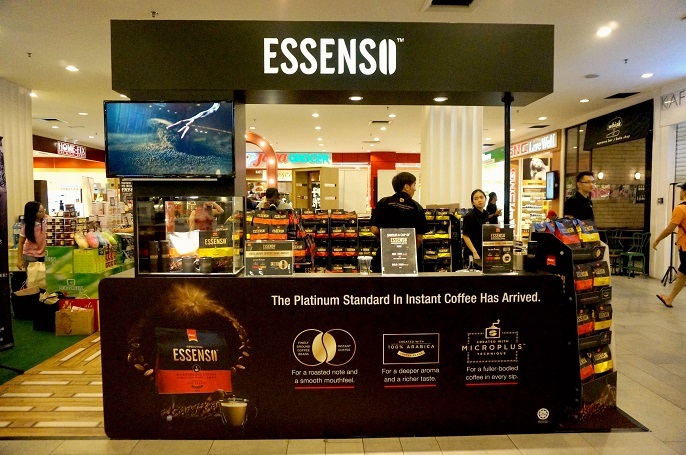 Recently, they have just launched their new coffee series, Super Essenso Microground Coffee in the market! The new coffee grinds with 100% Arabica coffee beans in an oxygen free and ultra low temperature environment to preserve the essence of the coffee beans. That's why the texture has a very smooth mouth feel! 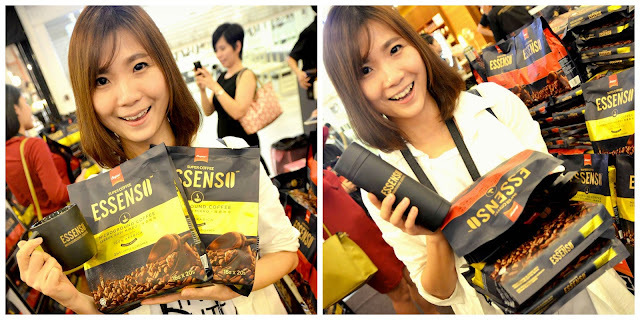 Super Essenso Microground Coffee are avaiable in two packaging. The red packaging is 3 in 1 and the yellow packaging is 2 in 1 which is less sweeter compare to the red one. Both tasted the same good to me as they have deeper aroma and richer taste in every sip. 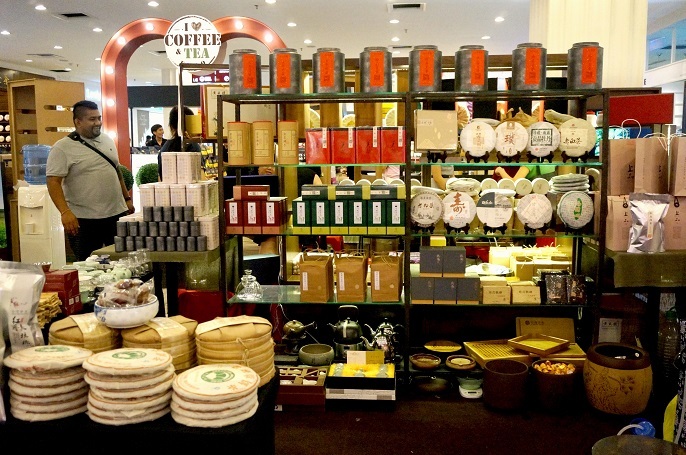 In the conjunction of the I Love Coffee & Tea Expo, they have an exclusive offer to you all! 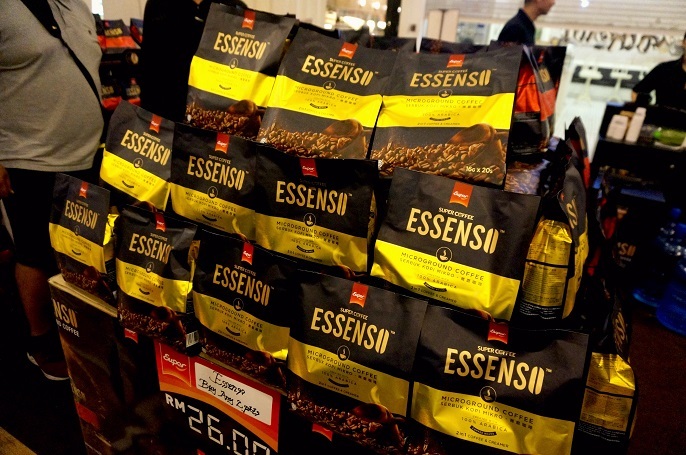 #1 Purchase any 2 packets Essenso Microground Coffee, and get free Essenso Mug! 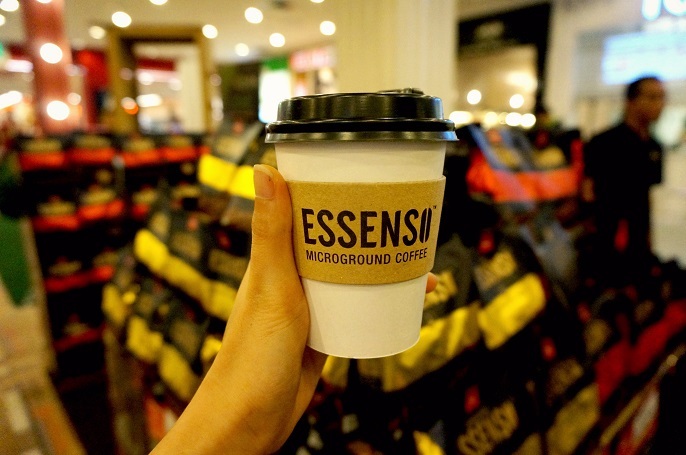 #2 Purchase any 4 packets Essenso Microground Coffee, and get free Essenso thermal flask! Oh Man! Look how much stocks I have grabbed from the expo!? Although the expo is not a big expo, but it is very interesting to know what are the new trends and products are out there in the market. Wait no more and hurry up visit the expo today! By the way, if you happened to miss out this expo, there is one big expo with more than 100 vendors is coming on your way. Althea Korea @ Happy 1st Birthday !